Dr. Stafford R. Broumand of 740 Park Plastic Surgery highlights what patients can expect facelift surgery to accomplish, as well as which complementary treatments can help enhance the results. New York, NY — Among numerous factors, a key component to achieving facelift surgery results that patients are extremely pleased with is establishing realistic expectations prior to the procedure, states New York City plastic surgeon Stafford R. Broumand, MD. 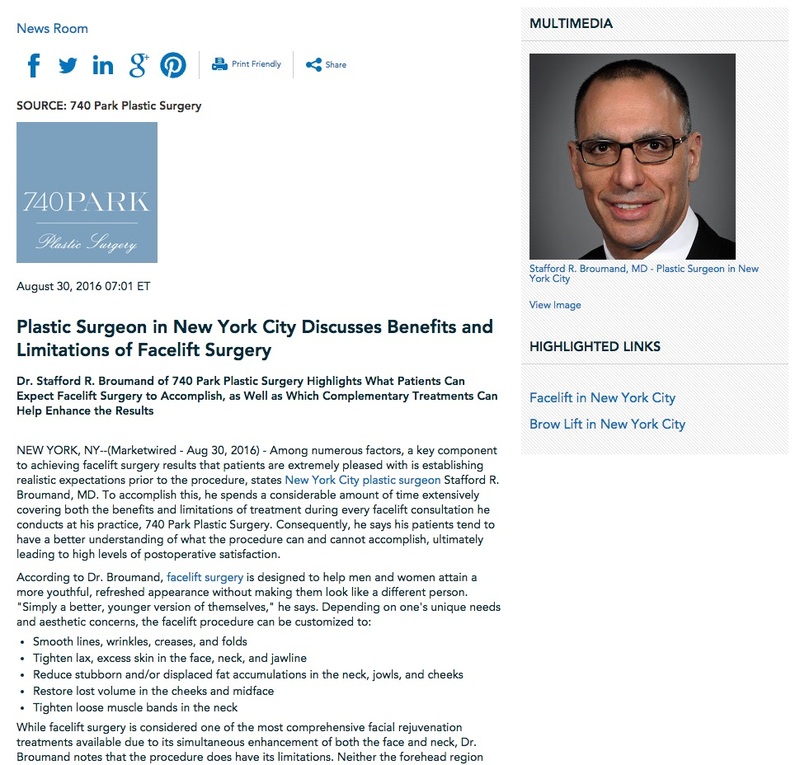 To accomplish this, he spends a considerable amount of time extensively covering both the benefits and limitations of treatment during every facelift consultation he conducts at his practice, 740 Park Plastic Surgery. 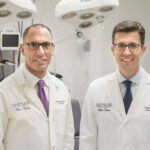 Consequently, he says his patients tend to have a better understanding of what the procedure can and cannot accomplish, ultimately leading to high levels of postoperative satisfaction. While facelift surgery is considered one of the most comprehensive facial rejuvenation treatments available due to its simultaneous enhancement of both the face and neck, Dr. Broumand notes that the procedure does have its limitations. Neither the forehead region nor the eyes are directly affected by facelift surgery, he explains, which is something that should be considered prior to proceeding with treatment. For individuals who have cosmetic concerns in these areas – such as forehead lines, furrows between the brows, drooping eyelids, etc. – the New York plastic surgeon says complementary procedures like brow lift surgery and/or blepharoplasty can often be combined with a facelift for an optimal result. No matter the procedure, Dr. Broumand states that patient education is essential to achieving an ideal outcome. He encourages anyone interested in facelift surgery and/or any other cosmetic treatment to consult a board certified plastic surgeon and not hesitate to ask as many questions as they need to obtain a complete understanding of the full benefits and limitations of their procedure. Dr. Broumand earned his medical degree at Yale University and underwent his General Surgery training at Mount Sinai Hospital. Subsequently, he completed his training in Plastic Surgery at the Massachusetts General Hospital/Harvard Medical School, a Fellowship in Burn Reconstruction at Massachusetts General Hospital/Shriners Burns Institute, and a Fellowship in Cosmetic and Craniofacial Surgery at the College des Medecins de Paris, France – Hopital Necker. 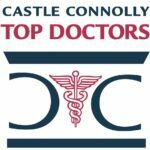 He is renowned for his aesthetic facial surgery skill and expertise, and he has been named a “New York Metro Area Top Cosmetic Doctor” for over ten years in a row. For more information about Dr. Broumand, visit plasticsurgeonsnyc.com and facebook.com/740ParkPlasticSurgery. He is available for interview upon request.